One of the world’s most creative and innovate bands, Ween, has apparently ended. The band’s lead singer Aaron Freeman, otherwise known as Gene Ween, has announced the end of Ween in Rolling Stone. The breakup came as suprise to Mickey Melchiondo, Dean Ween, as he sent out this sad message on facebook. 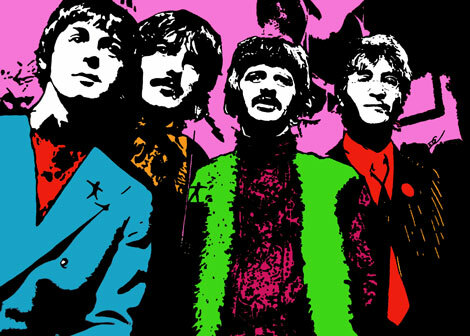 When the Yellow Submarine movie came out in 1968, the Beatles were already edging away from the psychedelic movement they helped flower across the world. In 68, the Beatles were recording the “White Album,” a record more psychedelic in the abstract than the literal. All and all they were inching back towards their rock and roll roots, so a movie which was basically a celebration of the Beatles psychedelic mastery was already a bit passe in the fast moving world of Beatle progress. Still, their psychedelic work, which had no real visual outlet as the Beatles had no way of seriously replicating that sort of music live, to say nothing of the fact they had quit touring anyway, was not harmed by being enshrined in a glorious piece of pop art that was Yellow Submarine. Just because the Beatles had left behind the days of Revolver, didn’t mean the world had. Songs like “Eleanor Rigby” were still being played countless times by people the world over, transmogrified by its perfection. As the Beatles, and the world would discover, the shelf life on Beatle music wouldn’t be a mere flash in the pan, but rather the songs would enjoy decades of endless relevance, seemingly increasing in power and myth as the years rolled by. So, while its easy to imagine that the Beatles were nonplussed when informed that the majority of songs used for the movie would be culled from the Sgt. Pepper era, for the rest of us, its a privilege beyond words to enjoy these wizard like songs embossed forever in a film like Yellow Submarine. The clip of “Eleanor Rigby” below, couldn’t be better. It’s a stunning piece of post modern animated pathos, featuring the sad tired, black and white world of Liverpool, colorized by a Paul McCartney song of unlimited creativity. There are no platitudes capable of summarizing its genius, so just watch it below as we continue to sail through Yellow Submarine week. Making a television show is difficult, especially one like Saturday Night Live where all the content is written and produced a week in advance before live airing. From the looks of this video, making an SNL is a long an tedious process. Here, they are just making a promo spot, and even though this video is edited to 9 minutes, it probably took well over an hour. It’s fantastic to watch though. First you have Eddie Vedder, appearing in April of 1994, a few days after Kurt Cobain killed himself. Eddie and Pearl Jam did a nice little tribute to Kurt as you can see in the picture above with the “K” on Eddie’s chest. 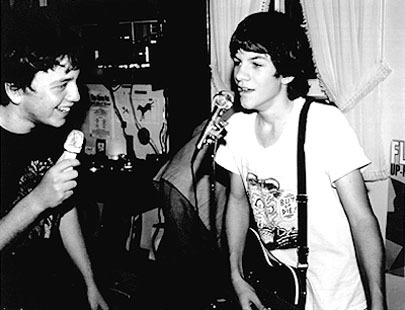 That’s just a bit of rock and roll history, but in this clip you get to see a nervous and very young Adam Sandler yuck it up with Eddie, whom Adam is clearly enamored with. You also get to see the oddly detached Emilio Estevez, famous brother of Charlie Sheen, and son of Martin Sheen, interact with these other two icons of film and music. At one point Eddie asks Emilio, how’s it been this week, to which Emilio replies, “I believe everything’s been good, just fine.” It was awkward, and Emilio looks like he’d rather be anywhere else then with some long haired grunge rocker and with the jittery nutbar Adam Sandler. This video is fascinating and revealing, and an awesome time capsule of one of SNL’s golden eras. Check it out! The Kids in the Hall were a sketch comedy team formed in the 1980s by a group of talented and semi-demented Canadian geniuses. SNL guru, and fellow Canadian Lorne Michaels gave them a show that pushed the limits of comedy to frightening new edges of hilarity. Playing out like an uncensored SNL, the Kids in the Hall tackled drugs, homosexuality, counter-culture ideas, religion, and raving lunacy with breathless confidence, finding humor in very dark places. In many ways, its no surprise they were Doors fans. 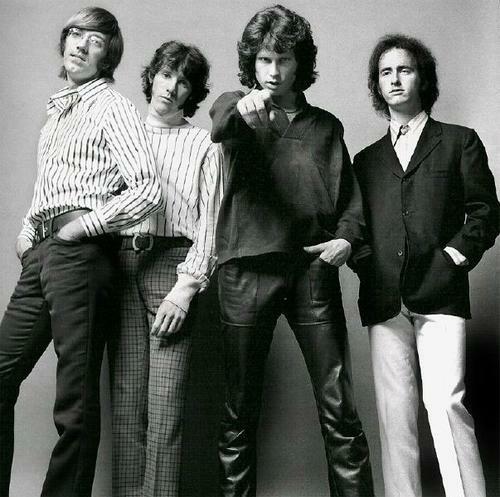 The Doors were a group who too were unafraid to push boundaries, and they did both musically and socially with their manic psychedelic rock and with the outrageous behavior of lead singer Jim Morrison. So, Kids and the Hall and the Doors? Match made in heaven. Check out the hilarious clip below where the Kids in the Hall teach you exactly how to be a Doors fan, and then watch the clip of “Waiting For the Sun,” preferably at dusk. Amy Sedaris is one of the funniest comedic performers of all time. I was going to say funniest female comedic performers, but I realized that’s just stupid. Her talent shouldn’t be subjugated to some gender consignment. She’s a performance genius, and if you’ve never seen “Strangers With Candy,” the mastermind show created by Amy, Paul Dinello, and Steven Colbert, do yourself a favor and track it down right now. I’m pretty sure every episode is available for free on comedycentral.com. Anyway, Amy does most of her performing these days on the Letterman show, as she became one of Letterman’s most frequent and favorite guests. When she does Dave’s show, she is like a rocket of spirit, laughs, and quirky charm. Every time she is on, she makes Dave and the audience fall head over heals in love with her. What I have below is Amy’s most recent appearance on the Late Show, and she talks about turning 50, touching the elderly, root canals, and Keith Richards. It’s really a joyful interview, and if you like it, there are no shortages of her appearances on youtube, and they’re all great. Enjoy. Many people refer to these days as the golden age of comedy. With tons of late night comedians, stand-up super stars, box office comedy blockbusters, and comedy nerds running rampant, its easy to buy into that hype. 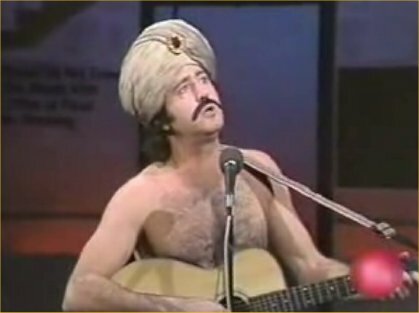 Well, it might be the case that comedy is bigger then ever, but there probably isn’t one comedian from today’s day and age that comes close to matching the genius of Andy Kaufman. All you have to do is watch the clip below where Andy appears on Letterman and hardly says a thing for the first few minutes, but manages to have the audience rolling with laughter. When he goes into a monolog about his fucked up life, tells people not to laugh, and proceeds to beg for money like a homeless guy, what’s real, and what’s the act, is so blurred at that point, that its truly mind-blowing. Credit also goes to Letterman for playing the strait man so convincingly, that you truly believe that he has no idea whether or not what Andy’s doing is real or not. It would be unimaginable to think what Andy would be doing had he lived to this day, so check out this timeless performance from one of the funniest people that ever lived. 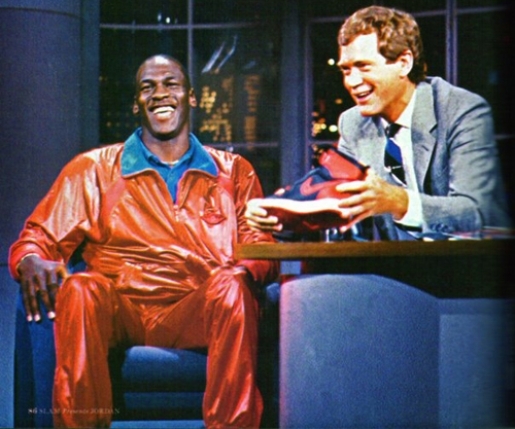 On February 1st, 1982 David Letterman launched the Late Night Show on NBC. As you can tell by its overly dramatic and irony fueled science fiction opening, Dave was far ahead of his time. 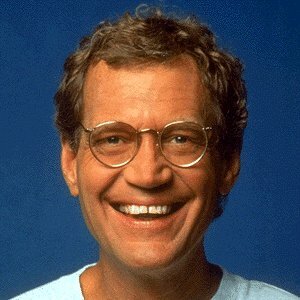 Understanding David Letterman’s genius is partly based on knowing what a clear cut revolutionary comic visionary he was. Not only was he fully secure in his own comic voice, always bleeding confidence over every comedy beat, he was a broadcasting natural, just a seemingly perfect physical fit for the television medium. When Dave is on TV, he is just in his natural environment. It’s really harder to imagine the man in real life, and according to those who work with him and know him, the real Dave is a neurotic and socially awkward mess of a man. TV Dave is the complete opposite, a titanic colossus of confidence and razor edged awareness. His first show on NBC is just a remarkable time capsule of his talent and impact, and I got all 7 parts for you to devour below. You’ll get Dave at his most classic, giving you a bizarre monolog poking fun at himself and NBC. You’ll get a hilarious tour of the NBC studios, and you’ll get Bill Murray being young and brilliant. Oh yea, you get Mr. Wizard too. This is awesome, so check it out and brighten up your late night. 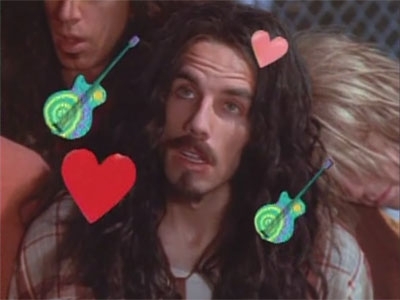 Saturday Night Live is really hit or miss this days, mostly miss, but sometimes, when they get a guy in there who knows sketch comedy, like Ben Stiller, they can hit a few home runs. That was case the other night when Ben revived his classic impression of Bruce Springsteen from his cult hit “The Ben Stiller Show.” The bit was a clever, almost throwback comedy parody that reminded me of the golden age of sketch comedy found in the 90s. In the sketch, Ben is Bruce selling you nothing but the stories he tells in between songs, and it’s pretty damned funny. It was nothing revolutionary, but it really evoked that spirit of classic grunge era sketch comedy. The next clip is a collection of all the Ben as Bruce bits from the “Ben Stiller Show.” You get to see Bruce teaching kids how to count, delivering a baby, fighting in a bar, and warding off aliens. You even get to see Bruce travel through time and help out old Abe Lincoln, (awesomely played by Stiller Show alum Bob Odenkirk.) Speaking of Bob, if you catch a hint of Mr. Show whilst watching the Springsteen compilation, you’re not smellings things because both Bob and David were head writers there, and went on to make their own masterpiece of sketch comedy shortly following the Stiller Show’s brief run. So get ready to laugh in UHN, TWO, HEE, HOOR! Powered by WordPress v 5.0. Page in 0.606 seconds.